What a completely wonderful evening spent with these two genuinely sweet, fun, loving and personable couple. 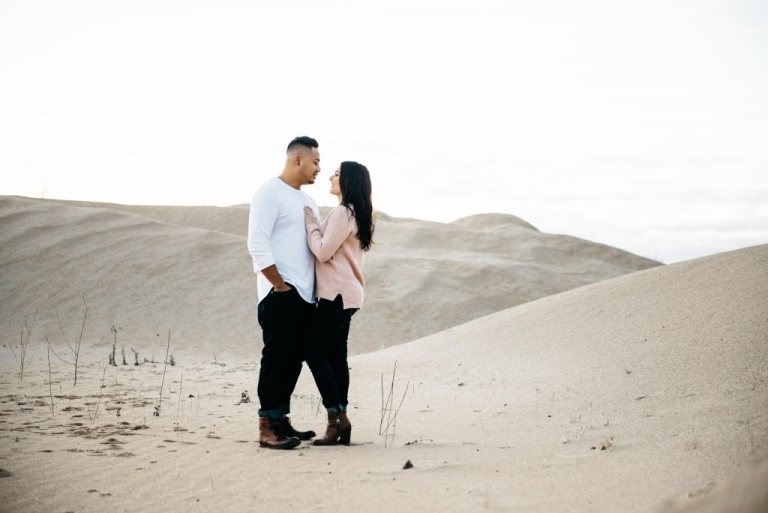 From our very first client meeting, dialogue and ideas for their engagements and wedding day were seamless and I knew I wanted to do something a little different for these two when it came to their engagement photos. 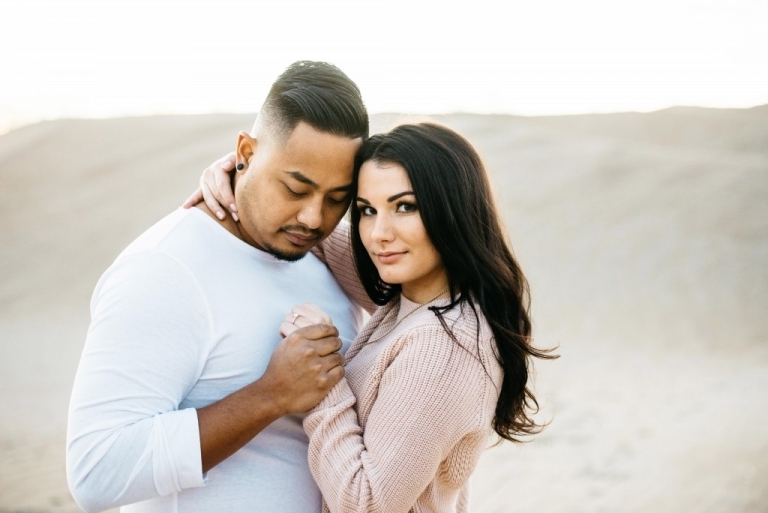 I love when my clients completely trust my vision, and Aaron was just as much invested in the shoot as Madilyn which is always a photographers dream. Being somewhat of a minimalist myself, I’ve always loved the concept of less is more especially in photography. 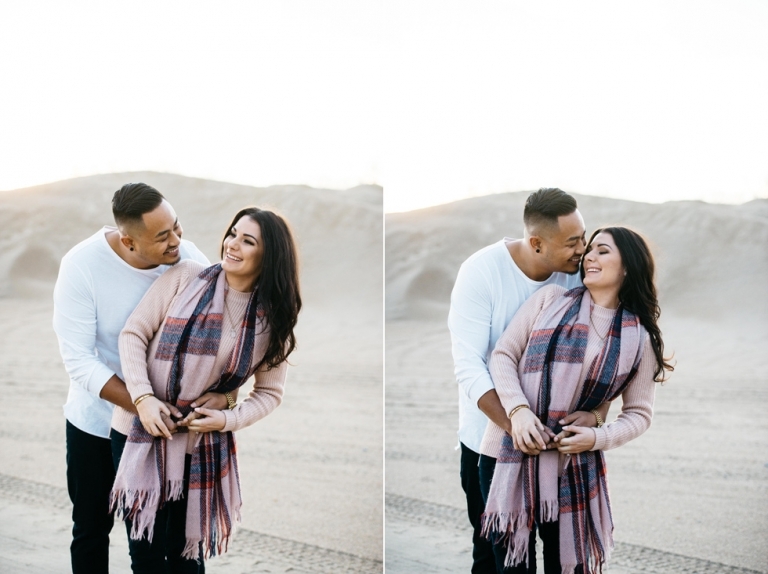 A simple backdrop with the golden sun setting just behind the dunes allowed me to completely focus on this beautiful couple and their chemistry they have in front of the camera. I absolutely can’t wait for the wedding day, it will undoubtedly be a fun filled beautiful one.